Mongkut Thai, family owned and operated, opened its door in 1986 in the heart of the beautiful downtown of San Clemente. Nearly, 30 years, Don and Ning Laitip, owners, have always been there to make sure that San Clemente�s residents and visitors have the best Thai food experiences when coming to Mongkut Thai (or when dinning at Mongkut Thai). The extensive menu has a vast selection choice of meats, variety of flavors, and different degrees of spiciness to match everyone�s taste buds. Vegetarian and Vegan menu are available as well. Our pride is to provide the best Thai food and excellent service to our community members and visitors who travel from all over the world. The traditional Thai decorative dinning room presented with smiling and friendly staffs creates Thai touch atmosphere when customers dine-in. 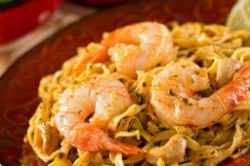 Come to enjoy the most popular dishes, Thai wraps, Pad-Thai -the famous noodle, Drunken noodle � the spicy noodle to die for, last but not least, an unforgettable Kai-Kau noodle. 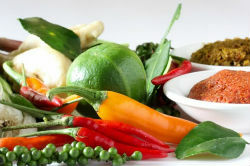 Always remember to try the signature curry dishes, green curry, yellow curry, and red curry. 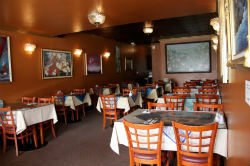 Mongkut Thai has all favorite dishes for everyone. Let us introduce you to the wonderful tastes that you will enjoy. Guaranteed by Don and Ning of Mongkut Thai.